We are thrilled to welcome students, faculty and administrators from more than 35 colleges and universities across the country to Harvard for the Institue of Politics's National Campaign for Political and Civic Engagement annual conference from February 8, 9, and 10. Over the course of the weekend we will celebrate young leaders, reflect on the success of the youth vote in 2018 and discuss ways of breaking down barriers to democracy in our communities and on our campuses leading up to the Presidential election in 2020. Student ambassadors will hear from a diverse group of speakers who provided insights into how to foster and expand voter engagement and participation campus. During a 90-minute Town Hall, conducted by John Della Volpe, IOP Director of Polling, participants will have the opportunity to share their experiences and discuss a wide range of issues that impact the lives of young people in America. Since 2003, the IOP-led alliance has held annual conferences to identify collaborative projects, foster engagement in electoral politics, assist students in pursuing careers in public service, and provide a foundation in civic education. 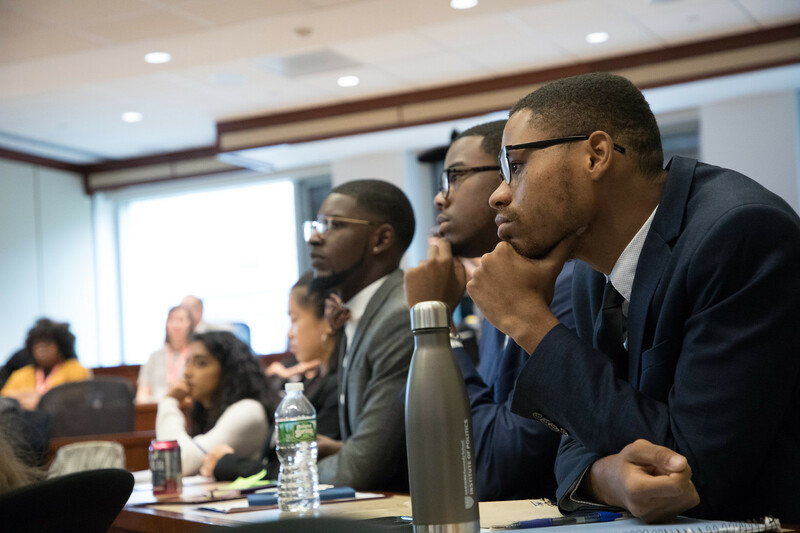 Led by a team of Harvard undergraduates, the student representatives to the National Campaign collaborate to achieve concrete goals, such as working with local election offices to improve the voting experience for their campus communities. Participating colleges and universities include: Allegheny College, Arizona State University, Colby College, Davidson College, Elon University, Florida International University, Franklin and Marshall College, Georgetown University, Harvard University, Howard University, Louisiana State University, Mercer University, Ohio State University, Rutgers University, Saint Anselm College, Simpson College, Spelman College, Tennessee State University, Tufts University, University of Chicago, University of Delaware, University of Florida, University of Louisville, University of North Carolina, University of Oklahoma, University of Rochester, University of Southern California, University of Tennessee, Knoxville, University of Texas, Austin, University of Utah and the University of Virginia.